N World War II the United States chose Bora Bora as a South Pacific military supply base, and an oil depot, airstrip, seaplane base, and defensive fortifications were constructed. Known as "Operation Bobcat", it maintained a supply force of nine ships, 20,000 tons of equipment and nearly 7,000 men. Seven artillery guns were set up at strategic points around the island to protect it against potential military attack. However, the island saw no combat as the American presence on Bora Bora went uncontested over the course of the war. The base was officially closed on June 2, 1946. The World War II airstrip, which was never able to accommodate large aircraft, was French Polynesia's only international airport until Faa'a International Airport was opened in Papeete, Tahiti, in 1960. And as you might've already guessed, the main industry on this petite island in French Polynesia and its swarm of tiny motu (small surrounding islands) is tourism. 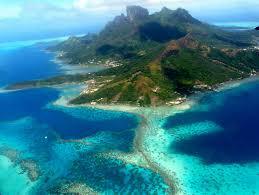 To that end, you can snorkel, explore Vaitape (Bora Bora's quaint town), hike Mount Otemanu and more. 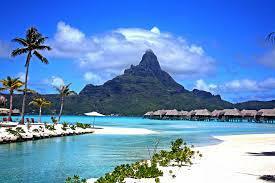 But there's a catch: Bora Bora is expensive — very expensive. 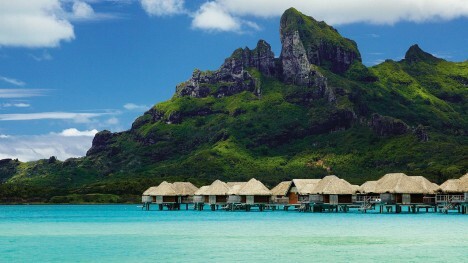 In short, visit Bora Bora for natural beauty, visit for utter relaxation and visit if you have the money. Today the island's economy is driven almost solely by tourism. 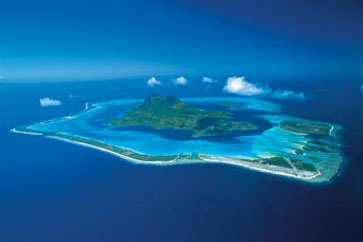 Over the last few years, several resorts have been built on motu (small islands, from Tahitian) surrounding the lagoon. 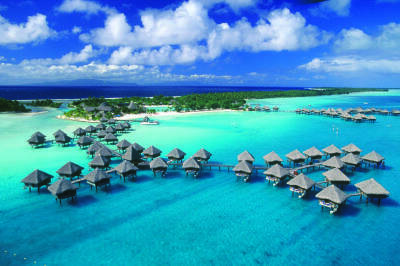 Hotel Bora Bora opened in 1961, and nine years later built the first over-the-water bungalows on stilts over the lagoon. 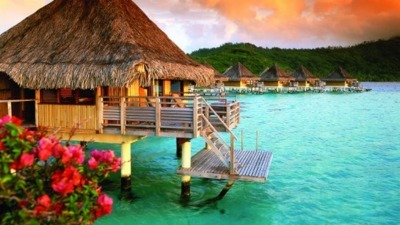 Today, over-water bungalows are a standard feature of most Bora Bora resorts. The quality of those bungalows ranges from comparably cheap, basic accommodations to very luxurious and expensive places to stay.